Frédéric Lacroix has performed in Canada, the United States, Europe and Asia as a soloist, chamber musician and collaborative pianist. 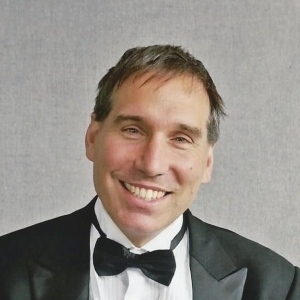 He is a frequent collaborator with members of the NAC Orchestra both in chamber music and recitals, having first performed in the Music for a Sunday Afternoon concert series in 2015. This past September, he curated, as fortepianist (and composer), the late-night concerts of the NAC Orchestra’s Beethoven Festival. Following the University of Ottawa’s purchase of a fortepiano, he has devoted part of his time to the study and performance of music on period keyboard instruments, for which he was recognized as the Westfield Center Performing Scholar for 2008–2009. He has presented numerous concerts in Canada and the United States as harpsichordist and fortepianist. Intrigued by the seemingly infinite diversity of new music, Lacroix has enjoyed collaborating with composers and performers in the premiere of a number of Canadian and American works. Also active as a composer, his song cycle, Nova Scotia Tartan (2004), is featured on Hail, a disc dedicated to Canadian Art Song. Frédéric Lacroix teaches piano and composition at the University of Ottawa. He recently completed his doctorate degree in keyboard performance practice with Malcolm Bilson at Cornell University.